I am writing this note on behalf of ‘The Disease Management Association of India – The Population Health Improvement Alliance’. We have come across a glaring lapse in the manner in which the important information related to the quantity of toothpaste / toothpowder to be used by children is not displayed by your company. The correct quantity should be used and the over usage could be detrimental to the health of the population has not been properly displayed on the packaging. This is a serious issue and cause of immediate concern in the interest of millions of children across the country. I am putting here the message displayed on most of the toothpastes/toothpowders sold in India. It is important to quote here that majority of the toothpastes / powders sold are have fluoride as an ingredient. ‘For children under the age of six; use a pea sized amount under adult supervision. Do not swallow. (Printed on Pepsodent made by HUL). Keep out of reach of children under 6 years of age. If you accidently swallow more than used for brushing, get medical help or contact poison control. Children under 2 years ask a dentist or physicians (Printed on Aquafresh made by GSK. Of course, I brought this particular pack from U.K. but I guess it would be same for India as well). Children under 6 years of age should have adult supervision and use only a pea size amount. Do not swallow (Printed on Colgate made by Colgate-Palmolive). It is evident that brushing of teeth daily twice is a message blasted on various media platforms i.e. TV, Radio & magazines every day, but the message (using the right quantity & the potential poisonous effects on the health of children if used more than the size of a pea), which should ideally be put as a warning in bold & red colored alphabets or read out aloud in the TV / Radio is completely ignored in these media blasts. Also, the message to use ‘pea size’ is put in small alphabets and that too, in English only, It is important to consider, how many Indians would understand ‘size of pea’ keeping in mind the rural & non-English speaking population? This is a serious issue, and I am quite surprised that this has not been raised till date by anyone, and this would have already harmed millions of children across the country. This amounts to a serious ethical lapse on your company’s part, and conveys lack of seriousness towards the health of the country’s innocent children who are coerced into using tooth paste daily without understanding the harmful effects based on the numerous advertisements blasted on various media platforms. I also must quote the annual report of the Ministry of Health & Family Welfare, Government of India; “Excess intake of fluoride over a long period of time leads to major health disorders like Dental Fluorosis, Skeletal Fluorosis and Non-Skeletal Fluorosis besides inducing ageing. The harmful effects being permanent and irreversible in nature are detrimental to the health of an individual and the community which in turn has an impact on growth development economy and human resources development of the country” and the Government has started a national programme for prevention and control of Fluorosis (NPPF). Clearly, business interests of your company have ignored the health issues related to children of this country and this has to be addressed without any further delay. Immediate warnings to be issued on radio, newspapers and television about the quantity of tooth paste to be used by children and harmful / poisonous side effects. Mentioning this warning prominently and highlighting it in local language in red color on the packing and the toothpaste tube. Withdrawing the old stocks from the market and replacing them with the new stocks with proper warning. I am also marking this note to Shri Keshav Desiraju, Secretary- Health, Ministry of Health & Family Welfare, Government of India, for actions that might be needed on an urgent basis & how medical associations like IMA (Indian Medical Association) & IDA (Indian Dental Association) have been endorsing some of these brands might need to be looked into. In hope of the needful at the earliest possible. Shri. Desiraju, Secretary to the Government of India, MOHFW. Shastri Bhawan, C- Wing, Dr.Rajendra Prasad road. I am sure this finds you doing well. closely, and have sent numerous proposals and met up with various officials from time to time. 2. Create animated pictures and videos for children’s health that could be multilingual, and can be screened nationally in classes or using mobile health as a medium to disseminate the audio visuals . be done by the Ministry of Health & Family Welfare and incorporated in the school curriculum. It would be a great move if we start giving out 3 %marks or give a grading of A, B or C ( A for being fit for standards , B for borderline & needs improvement & C for being much below the child health metrics ), for various health indicators like dental hygiene, height and weight (BMI – Body Mass Index ), hemoglobin, Vitamin B & D etc. For this generation, we are already too late, but we must ensure that the next generation is a healthy one. Shri. Ghulam Nabi Azad, Union Minister for Health & Family Welfare. Dr.Syeda Hameed, Member, Planning Commission, GOI. Shri. T.K.A. Nair, Advisor to the Prime Minister. 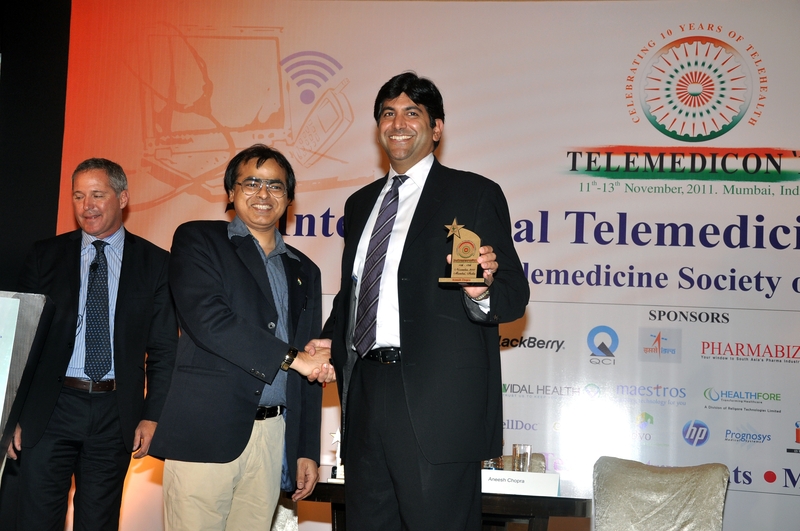 Shri Keshav Desiraju, Health Secretary, GOI. Shri Ashok Thakur, Secretary, Min. of HRD. Shri Prem Narain, Secretary, Min. for Women & Child Development. Hope this finds you doing good. I attended a workshop for health ministers of NDA two days ago . During the workshop , we also visited a village in Gadhchiroli ( A naxalite area in Maharashtra ). Here, I came across a 7th class failed lady who has been delivering healthcare information and advice in the village for many years on mother and child health, and out of the past five years , the village has been ‘Child death free’ for four years . Also, the Government must make this booklet available to all the citizens on its website & as an application in Android / Nokia and other phone operating systems. It is time to empower people to take to primary and preventive care . Healthcare indications with OTC products application must be made mandatory in all languages for cell phones sold in India . May be, MOCIT ( Ministry of Communications & IT ) can take the lead in doing this . More than 3 years back , I had written in the document titled ‘Healthcare reforms agenda’ (http://www.dmai.org.in/Healthcare_Reforms_Agenda.pdf ) , about ‘mass screenings’ for people, and I am glad that your ministry has accepted it , and has already done over 10 million screenings in the past 10 months , which is really commendable . Now , it is time for India to move from ‘Preventive’ care to ‘Pre-emptive’ care ( till now, I haven’t heard this word used for health ! ). Starting with health screening for children when they turn the age of 10 . Earlier the better ! So that children grow up healthy . The screenings will include obesity , blood pressure and diabetes screenings, every 6 months . These checks would not cost more than Rs. 10 a year , but can help in making India the healthiest nation ! Also, major healthcare problems arise due to deficiency of vitamins A, D & B & Omega 3. We must recommend guidelines for all children to undergo tests for deficiency of these vitamins and Omega 3, and also tie up with national level labs for offering these tests at rates mutually agreed by the Government . I understand that currently , it is difficult to have a test for Omega 3 in India, even if one needs to get it done ! We should, therefore, focus on drafting the child health guidelines and ensure that these become the basic requirement for school admissions and thus, are enforced nationally. This dialogue showed the keenness from both the sides ( Industry & the Government ) to work shoulder to shoulder to address the key healthcare challenges facing the nation . Three areas of cooperation have emerged; i.e. adoption of districts under mass screening programs , companies willing to work on secondary prevention program in addition to the mass screening program , IT & mHealth companies willing to provide innovative solutions for managing chronic diseases and program evaluation tools, training front line health workers & Rural health . It would be good if the MOHFW now moves to focused meetings under the Government Industry Dialogue to decide the scope of collaboration specific to each program. I am sure that this will lead to more effective implementation of existing programs . I look forward to your guidance on the same. Dr.Manmohan Singh, Prime Minster, Govt. of India. Dr.Sam Pitroda ,Advisor to the Prime Minister of India . Shri Keshav Desiraju, Special Secretary, Health & Family Welfare, GOI. Dr.Jagdish Prasad, DGHS, Min. of Health & Family Welfare, GOI. The recommendations that i made in 2011 on the invite of Planning Commission , Government of India have been implemented . Thanks to all the policy makers for making it happen ! Indian Healthcare at Cross Roads ! I have dedicated this blog to the Indian Healthcare System .